Exciting upcoming performances, engagements and events. Our newest creation, Trace, will enjoy six performances at this internationally-renowned prestigious festival in the Berkshires of Western Massachusetts in summer 2019! Trace will make its U.S. premiere at the Doris Duke Theatre from August 7-11, 2019 as part of the Festival. 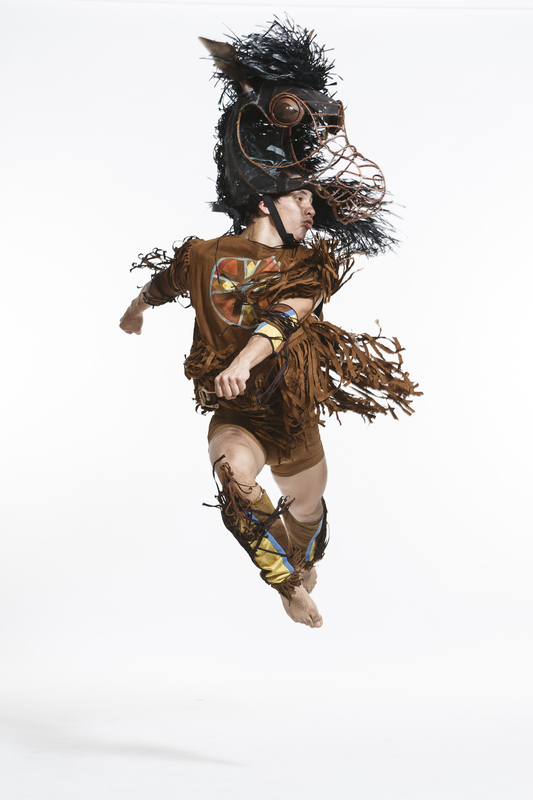 Trace is a highly kinetic contemporary dance work inspired by Anishinaabe sky and star stories offering a glimpse into our origin and our future evolution. 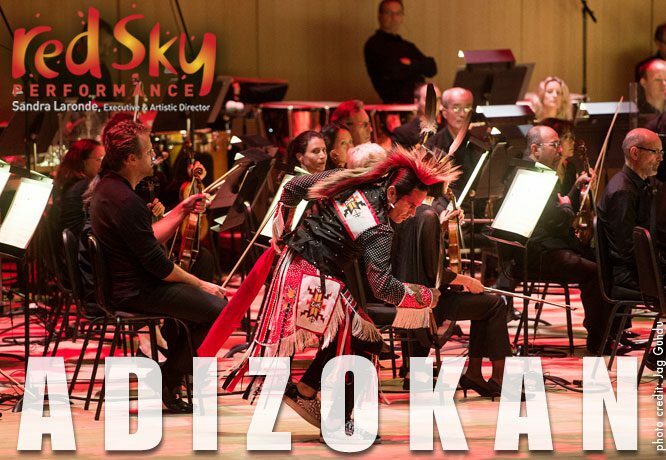 Adizokan, a Red Sky Performance and Toronto Symphony Orchestra (TSO) collaboration, kicks off the TSO’s School Concert Series at Roy Thomson Hall on April 30, 2019, at 11am and 1pm. Featuring Indigenous vocals, electro-acoustic and orchestral music, and dance and film, Red Sky Performance's genre-defying production Adizokan will be performed for middle school and high school students in Toronto and the GTA as part of the series. Watch a two-minute excerpt of Adizokan here. These concerts are sold directly to schools; as such, tickets are not available to the general public. Information on the Toronto Symphony Orchestra’s School Shows, including study guides, lesson plans, podcasts, and instructions for booking tickets, can be found here. Backbone will perform five shows at the Danse Danse Festival in Montreal from March 19-23, 2019. Backbone ferociously brings to life the electricity, circuitry, and impulses of a sentient land as it emerges from millions of years of restlessness. With powerful live music and highly physical solos, duets and ensembles, the performers interpret nature's spine and landscapes to embody Indigenous mapping and Western cartography. Red Sky is touring Europe with the multiple Dora Award nominated production Backbone! We will perform 22 shows over 5-weeks in Europe running January 21 - February 24, 2019. Backbone will be performed at world-class performing arts venues in Netherlands, Germany, Belgium and Poland as part of this European Tour. Backbone ferociously brings to life the electricity, circuitry, and impulses of a sentient land as it emerges from millions of years of restlessness. 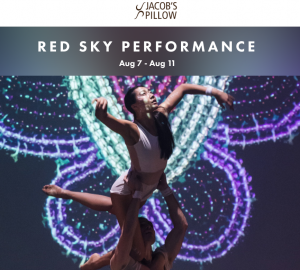 With powerful live music and highly physical solos, duets and ensembles, the performers interpret nature's spine and landscapes to embody Indigenous mapping and Western cartography. 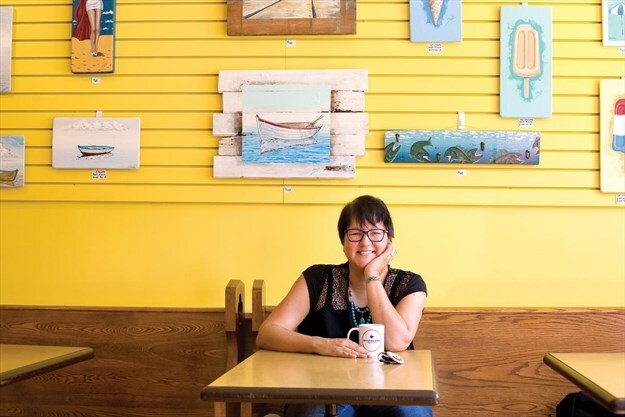 MISTATIM gallops through Ontario & B.C. Red Sky Performances’ timeless story of reconciliation for children and their families will be on tour to schools in Ontario (Jan 16-Feb 22) and B.C. (Feb 25-Mar 8) with special theatre performances enthralling 25,000 little beating hearts with Mistatim magic! Mistatim will enjoy 80 shows in schools across Ontario and B.C. as part of the tour, along with the four exclusive performances below that are ticketed and open to the public. From the stars we are born. We are traceable to the very beginnings of the universe, our ancestral origins stretching across the Milky Way to the atoms burning inside of us here on earth. Trace maps our Anishinaabe sky and star stories, offering a glimpse into our origin and our future evolution. We have very special treat lined up for you for Thursday's show! Melanie Goodchild will join us for a post-show talk on Thursday, November 8, 2018 at 9 pm to introduce us to Anishinaabe cosmology and star knowledge and reflect on some of the themes of TRACE. We gratefully acknowledge Canadian Heritage and Ontario Arts Council - Conseil des arts de l'Ontario for their generous support of the 2018-19 REDTalks Series. Adizokan, a Red Sky Performance and Toronto Symphony Orchestra (TSO) collaboration, kicks off the TSO’s School Concert Series at Roy Thomson Hall on October 30, 2018, at 10:30am and 12:30pm, October 31, 2018, at 11:00am and 1:00pm, and April 30, 2019, at 11am and 1pm. Featuring Indigenous vocals, electro-acoustic and orchestral music, and dance and film, Red Sky Performance's genre-defying production Adizokan will kick off six performances for middle school and high school students in Toronto and the GTA, reaching over 10,000 youth. Mistatim bolts out of the gate once again and this time to northern Ontario and northern Quebec. We will perform in theatres, schools, and community centres in Dryden, Sioux Lookout, Kenora, White River, Wawa, Sault Ste Marie, Elliott Lake, Bear Island on Lake Temagami, Cobalt, New Liskeard, and Notre-Dame-du-Nord in Quebec.